The French have had long-term and systematic research about Vietnamese people and culture since long time ago. They discovered the virtue of industriousness of Vietnamese through sophisticated handicraft products. In addition, they also focused on training Vietnamese artists towards using indigenous materials and folk-influenced shaping method. Before the appearance of Indochina Fine Arts College, Vietnamese painting had its own folk art. Wood carvings is the only kind of wall painting. The North had two famous craft villages: Dong Ho painting and Hang Trong painting. The Central had paintings from Sing Village in Hue. The technique used in these villages is carving paintings on wooden planks and then create multiple prints. 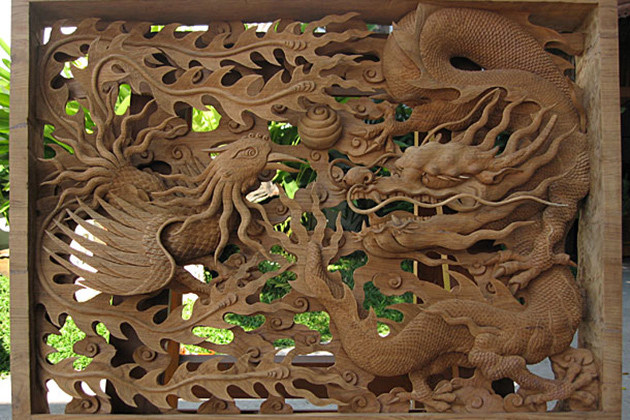 However, each village has its own way of making wood carvings. Dong Ho village used many planks to print all colors for a picture. Sinh village printed paintings with black lines on color paper. Hang Trong village only had a black print engraving and then the color part was added by the artisan. Nguyen Phan Chanh’s silk painting is an important and decisive finding for the art of Vietnamese silk paintings. He gave birth to a special silk painting that has not been available anywhere in the world. It is painting on the silk surface that has been moistened and scrubbed several times. He painted several layers overlapping each other until the desired hue was achieved. With the deep brown color palette combined with pure white color, Nguyen Phan Chanh’s paintings can express most of the beauty of the landscape and contemporary people. 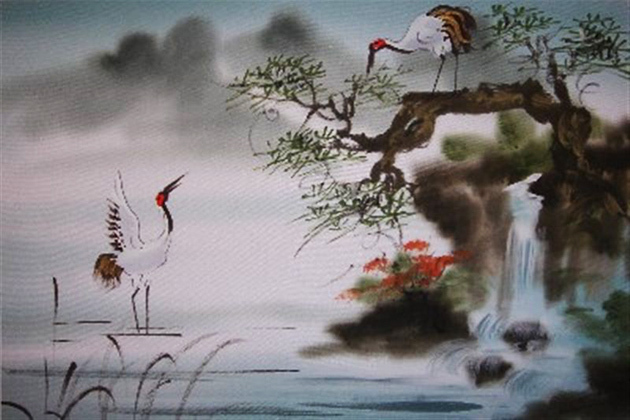 The silk painting artworks of Nguyen Phan Chanh at that time had a significant position in the European market. However, after flourishing for several decades, silk painting has revealed the inadequacy of materials. That is, with a humid climate, preserving a picture is not easy. Mold is the most dangerous enemy of silk paintings. When infected with mold, silk painting cannot be repaired. Among the materials discovered by the French teacher very early in Vietnam, lacquer paintings at that time are just the traits of temple and decoration on the statue. Nguyen Gia Tri artist took a deeper look at the possibilities of expressing this material on the paintings. He was so successful that even the French artist in the capital of visual art has to learn. 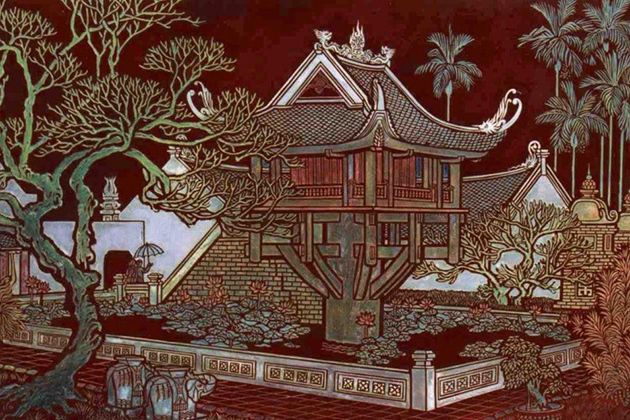 After 1954, Vietnamese lacquer painting was considered a specialty of Vietnamese identity. Not only has it been in the painters’ workshop but also widely used in the field of handicraft production. 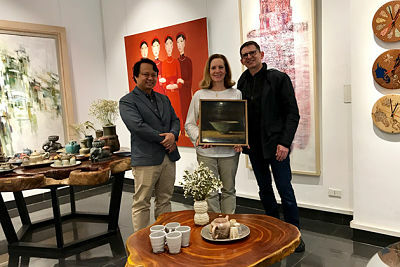 Two of the four leading painters of modern Vietnamese painting, Nguyen Sang and Nguyen Tu Nghiem almost devoted their entire life to lacquer painting. They have searched for a lot of techniques and new color palettes for lacquer painting. Their paintings have shown the pure art, only bring a message of conveying beauty to the viewer. 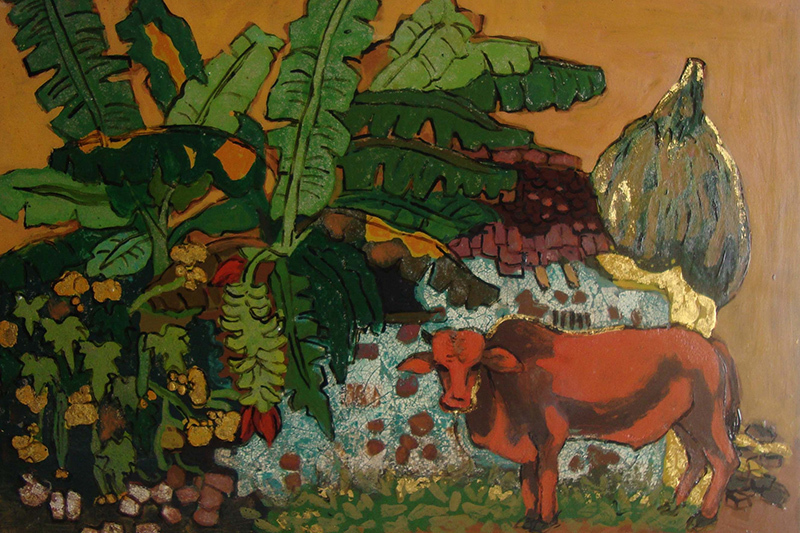 Over the past two decades, Vietnamese paintings have become more open and creative. There have been not many restrictions on the exploration. And the pride of traditional material with national identity also no longer unique position. Painting is gradually returning to the concept of Europe and the world, using the main material of oil painting.